If permitted to stand, the decision will embolden trolls with software patents to use the ruinous cost of litigation to extract settlement payments for invalid patents—just as they did before Alice. Unfortunately, district courts and patent examiners are already relying on Berkheimer to allow patents that should be canceled under Alice to survive in litigation or issue as granted patents. 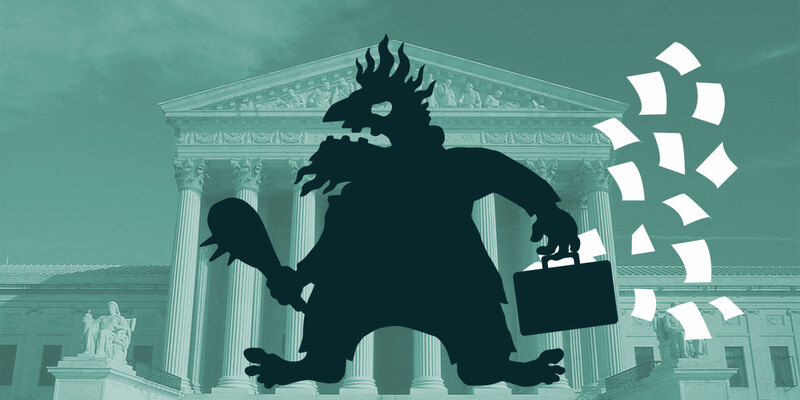 Berkheimer is good news for patent trolls, but it’s bad news for those most vulnerable to abusive litigation threats—software start-ups, developers, and users. Now that the Federal Circuit has declined rehearing en banc (with all active judges participating in the decision), only the Supreme Court can prevent Berkheimer’s errors from turning Alice into a dead letter. That’s why EFF, together with the R Street Institute, has filed an amicus brief [PDF] urging the Supreme Court to grant certiorari, and fix yet another flawed Federal Circuit decision. We hope the Supreme Court grants certiorari and confirms that patent eligibility is a legal question that courts can answer, just as it did in Alice.